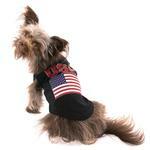 Celebrate you and your dog's love of America with this patriotic USA Dog Shirt in Black! 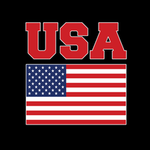 The USA Dog Shirt shows off the pride and love you and your pup have for America. This patriotic tank will have your pet standing out and looking good in an edgy black shirt. You'll love the vibrant print and how it pops against the black but the 100% cotton lightweight material will keep your pet comfortable even on hot days. 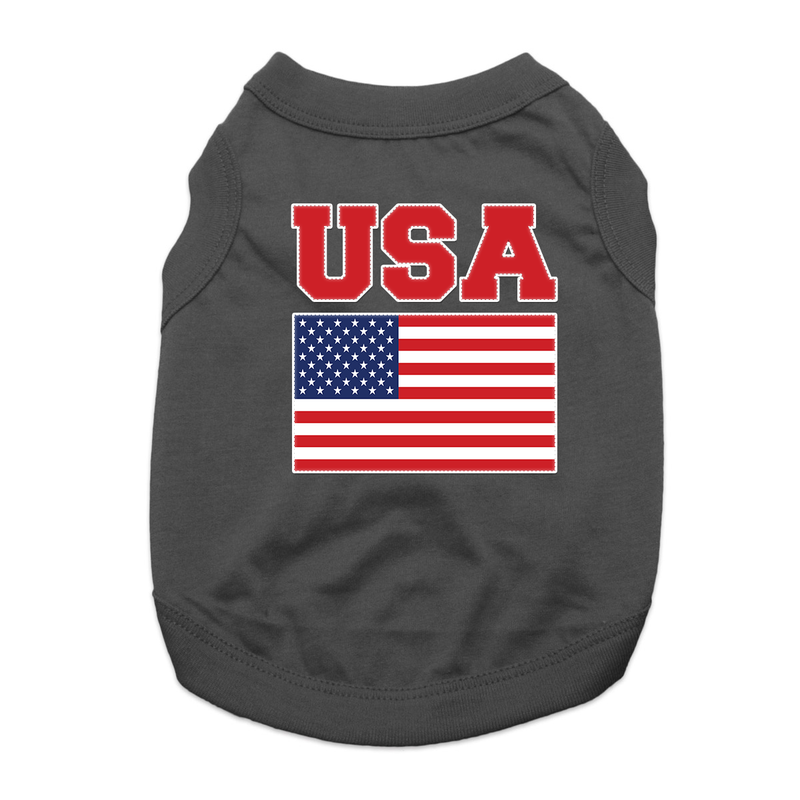 Your pup is sure to get noticed at parades and at other patriotic occasions such as Veteran's Day, Memorial Day, Independence Day, and election events. This comfortable shirt with all-American style will look great any day and in any season. Pair this lightweight dog tank with a patriotic scrunchy for a look that is sure to please. It's the perfect pairing for parades and photo opportunities. This patriotic dog shirt is great for the 4th of July and any summer gathering. This dog t-shirt features a sleeveless style and a high-cut, stay-dry belly for ultimate comfort and convenience. The comfortable soft knit is made of 100% cotton. Machine wash, cold and dry flat for best results. Great for patriotic parties and watching the games! USA Dog Shirt - Black Customer Photos - Send us your photo! I am all ready for Labor Day!! USA!!! I bought this for Memorial Day. It is perfect!! My dog will wear this during the Winter Olympics. It is a good fit and lightweight. Posted On 06/05/17 by Leonard A from Poteau, OK Yes, Leonard A recommends this product! Shipping was great and product was just as it appeared. It wore out pretty fast though. Not sure if the quality wasn't up there or my Yorkie just was in high gear all the time. Overall, very good product and service. I will definitely buy this brand in the future. Great brand, great fit, great quality; only issue was originally I measured wrong so sent back for a smaller size. Posted On 11/17/16 by geraldine r from Brooklyn, NY Yes, geraldine r recommends this product! It was perfect for Election Day!!?? You always seem to have some kind of a sale. You do not collect sales tax. I have always received my order timely. I like the fact you can request when an item you are out for stock of and request to be notified when it is back in stock - is a great feature, not very many places do that today. Thank You!